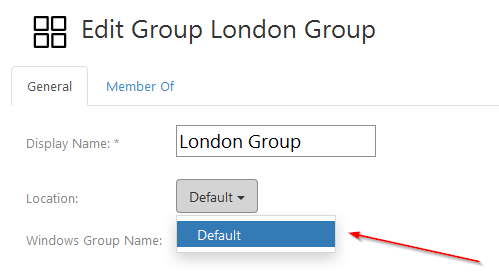 Choose the groups you need in the list of all existing groups. You might use Search box in the right for to make it easier. 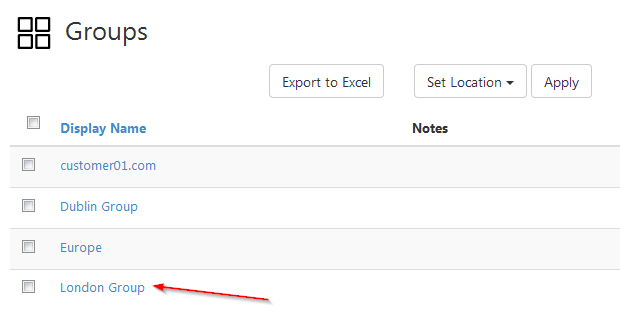 Click on Actions and choose Set Location. You will see a window prompting you to select a new location from a drop-down menu. Then click Ok.
Yup! The new location for the group(s) selected has been set. Alternatively, you can open settings page for the particular group and change its location there. To do so, go to the list of all groups and select the one you need by clicking on it. Here you can select a new location from the list. Don't forget to click Save Changes in the bottom of the page.